246 pages | 20 B/W Illus. 'Social innovation’ can be simply defined as the new ideas and initiatives that make it possible to meet our society’s challenges in areas such as the environment, education, employment, culture, health and economic development. It is currently becoming increasingly important as a central concept for social theories and politics. This edited volume brings together interdisciplinary contributions which examine the complex interrelation between innovation and social problems, a link which has been surprisingly underexplored in academia and practice thus far. 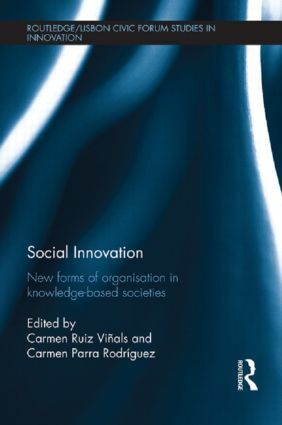 Social Innovation: New Forms of Organisation in Knowledge–Based Societies examines the mutual interdependence of innovation processes and social affairs. This interdependent relationship is characterised by a high degree of complexity which stems on the one hand from the true uncertain character of innovation and on the other hand from the different time scales in both domains. The alliance between innovation and social policy is highly relevant to the challenges which we are facing in the 21st century, such as resource scarcity, ageing societies and climate change. All of these issues demand substantial, continuous and sustainable structural change to maintain international competitiveness. Social change can only be understood by improving our knowledge about the impact of innovation processes in their co-evolutionary alliance with social evolution. The purpose of this book is to increase awareness of social participation among civil society organisations, SMEs, governments and research institutions, in order to promote economic, political and social changes that enhance collective welfare. This volume offers a key starting point for those looking to further explore this important realm of social research. Carmen Ruiz Viñals is Director of Business Management Studies at Abat Oliba CEU University, Spain. Carmen Parra Rodríguez is Director and Chair of Social Economy and Solidarity at Abat Oliba CEU University, Spain.